I’ve been working on Effects Bay for a lot of years. Of those years, I think I’ve been asked if I was going to be at NAMM every single year. Every single year, I’ve had to say “sadly, no, I won’t be going”. But, this year will be different. 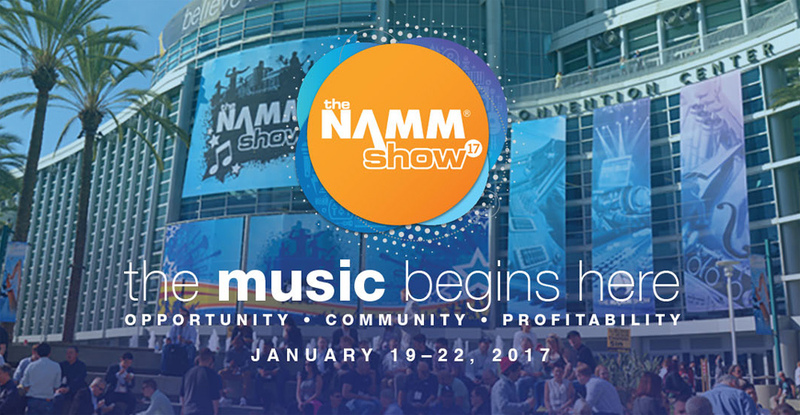 I’m going to start off this exciting 2017 year by attending NAMM at Anaheim, CA. Some of my items on my to-do list are to check out Fuzzrocious and Travis Bean Designs / Electrical Guitar Company at Reverb.com‘s booth. I had the fortunate opportunity to supply Rattlesnake Cables to those guys to be used for demo boards and guitar demos. The Travis Bean is exciting since it’s the new reproduction of the TB500 Jerry Garcia use to play with a on-board effects loop signal route. It’ll be fun to check out. I’m also excited to check out Earthquaker Devices, Chase Bliss and Red Panda to meet some demo/guitarists I’ve been wanting to meet in person for years.. Just Nick Jaffe, Noveller, Nick Reinhart and Juan Alderete just to name a few. I also want to tell EQD how I over play their Dispatch Master pedal ;). So with that said, I would love to meet any of you readers out there. Give me a shout out here via the comments or email if you’re going to be at NAMM and want to meet up! Also, to any builders and exhibitors out there – I would love to potentially do a mini interview and talk about your latest products. If you’re interested, shoot me a message. And finally, any of you have recommendations of builders that I should NOT miss? I want to make sure my first experience at NAMM is a very thorough and productive visit. Thanks everyone! FX Development BoardGreenchild G777 Dual Overdrive Give Away - The Winner! I’ll be working the Line 6 B\booth every day, which is now in the Marriott across the hall from Yamaha. Yes.. you’re on my list for sure. Like to meet in person! Would be great to meet up and chat for a while! I’ll be wandering the halls Friday and Saturday. Awesome. If you can, shoot me an email from Rattlesnake.. I’ll get that on my phone.